Check out Boston Music Award winner M-Dot along with underground hip-hop legend Virtuoso, King Magnetic, Singapore Kane, N.B.S. (E'Flash & V.Knuckles), and Red Eye (of The Closers). All over production courtesy of the European hip-hop collective Snowgoons (who featured M-Dot, Virtuoso, and N.B.S. on their recent album Kraftwerk). Also be sure not to miss M-Dot's CD release and pre-Euro going away party at The Bar Room tomorrow March 11th. 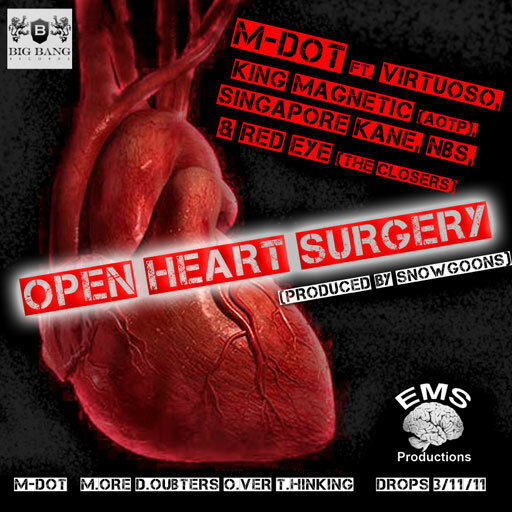 Download Open Heart Surgery from MediaFire.